The CST, the official body advising the UK Jewish community on matters of security and antisemitism, just released a comprehensive report on antisemitic discourse in the UK for 2011 and singled out the Guardian for opprobrium. In fact, CST devotes an entire section of their 36 page report to the Guardian. In 2011, the Guardian faced more accusations of antisemitism than any other mainstream UK newspaper. Concerns within the Jewish community and elsewhere regarding the Guardian, relative to other mainstream media outlets, have persisted for many years now – a situation that will probably worsen as the paper’s Comment is Free website grows. Comment is Free website hosts many more articles than the Guardian’s actual print edition –and has lower editorial standards. Articles critical of Israel and its supporters are commonplace and routinely attract hundreds of comments from members of the public. Counter-articles are far less common. Specific accusations of antisemitism against the Guardian itself usually arise from opinion pieces that reflect the hostility of the writer to Israel or those they associate with it. These articles are rarely, if ever, explicitly antisemitic. Rather, they usually contain remarks and attitudes that echo antisemitic motifs, such as Jewish conspiracies of wealth and power, and the notion that Jews are loyal to no one but each other. In their hostility, these articles afford little or no room for mainstream Jewish voices or perspectives. Typifying the Guardian’s problems regarding antisemitism, according to the CST, were comment articles by Washington correspondent Chris McGreal, a piece by weekly columnist Deborah Orr and its coverage of the Sheikh Raed Salah deportation case. In an article concerning American Jewish voting patterns, senior Guardian correspondent Chris McGreal wrote: “Obama [told] American Jewish leaders that he would put some ‘daylight’ between the US and Israel after eight years of George Bush slavishly refusing to pressure the Jewish state to move toward ending the occupation.”Following protests that this risked reading as if former President Bush had somehow been a slave to Jews, the word “slavishly” was changed to“consistently”. The Guardian stated that this would“clarify the intended meaning” of the sentence.Given President Obama’s ethnicity, it seems unlikely that the Guardian would have allowed the word “slavishly” to be as readily used as in relation to former President Bush. Nevertheless, the importance of conspiracy theory to antisemitism requires the newspaper (and others) to show sensitivity to risking such associations. In this regard, the Guardian’s alteration of “slavishly”to “consistently” maintained the overall meaning of the sentence, while reducing (but not entirely removing) the potential antisemitic sting. Controversies concerning alleged antisemitism from Islamist sources were typified by the 2011–12 visit to Britain of Sheikh Raed Salah, a leader of the Islamic Movement in Israel. In particular, the Guardian newspaper was highly partial in its reporting of the case. Some coverage of the case (including, in part, by the Guardian) asserted or assumed that the Salah controversy had been engineered by the Israeli Government and carried out, at its behest, by its ‘local’ supporters and forced, somehow, upon the Home Secretary. These allegations about Israeli Government involvement were both unreferenced and untrue. The case exemplified the manner in which UK Islamists and pro-Palestinian activists defend their political allies from accusations of antisemitism. It is normal for such groups to act in this way and for them to misrepresent British Jewish concerns; but Blood libel allegation CST argued that Salah’s presence was unwelcome, primarily because of a speech he had made in Jerusalem in 2007 that had alluded to the “blood libel”, the notorious medieval charge that Jews kill Christian children in order to use their blood for religious practices. 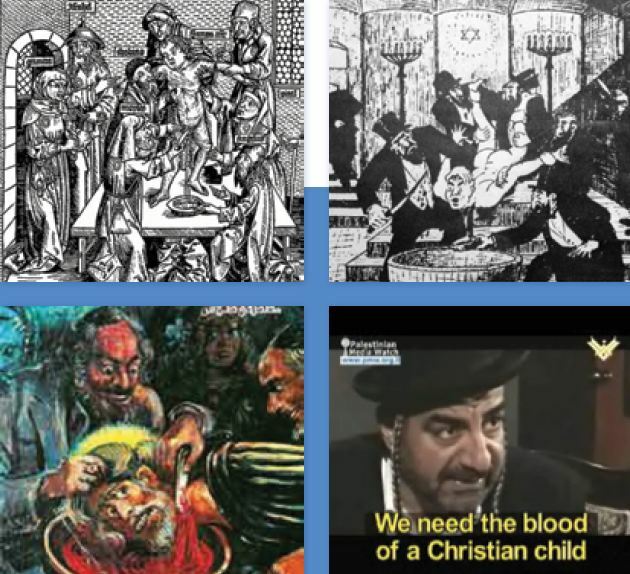 These images, of medieval, Nazi, Syrian and modern day Hizbollah origin, each depict the notorious antisemitic blood libel charge. As the controversy developed, Salah and his supporters claimed that Israeli officials had brought no charges against the speech, then said charges had been brought but dropped due to lack of evidence, before admitting that the case remained outstanding in Israel, but Salah and his supporters now claimed he had been discussing the Spanish Inquisition, not the behaviour of Jews.The final hearing (which Salah won) agreed with CST’s interpretation of the speech. “In our judgment this [Salah’s counterargument] is all wholly unpersuasive. The appellant is clearly aware of the blood libel against Jews…The truth of the matter is that the conjunction of the concepts of ‘children’s blood’ and ‘holy bread’is bound to be seen as a reference to the blood libel unless it is immediately and comprehensively explained to be something else altogether.”. Throughout the controversy, the Guardian…reported the views of Salah’s UK Islamist hosts and defenders, but failed to adequately ask for, report, or consider, the concerns of CST and the UK Jewish community. It ran no articles countering Salah’s position. On 29 June 2011, the Guardian ran an article by Haneen Zoabi, entitled, “An Israeli trap for Britain”.This framed the Salah controversy as being an Israeli ploy, carried out by its “supporters abroad”. It essentially reduced the allegations against Salah to the status of lies, concocted by Israel and its British supporters to defend racism and then forced upon the Home Secretary. Excerpts included: “…Unable to produce any legal evidence, the Israeli establishment and its supporters in Britain accuse him of antisemitism….It appears that the charge of antisemitism is being used as a way of suppressing criticism of Israeli policies…it seems that the British government has bowed to pro-Israel pressure even when it comes to inshore affairs. 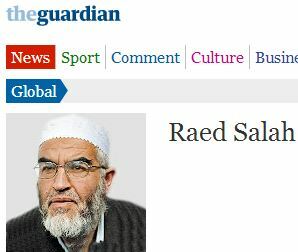 On 1 July 2011, the Guardian ran an editorial in support of Salah. Its title, “Muslim Brotherhood activists: unwelcome guests?” signaled the newspaper’s failure to properly address the antisemitism allegations against Salah, or what this meant for British Jews, Muslim-Jewish communal relations and the Government’s recently tightened anti-extremism guidelines. The editorial echoed Haneen Zoabi’s opinion piece by crassly suggesting that the UK Government was moving against “all Palestinian activists Israel has a problem with”, before appearing to accept Salah’s denials at face value: “…he says [the allegations] were fabricated, and for which he has started libel proceedings…Mr Salah has not been convicted of antisemitism”. Additional coverage of Salah by the Guardian. On 26 September 2011, the Guardian reported upon Salah’s forthcoming appeal. The story summarised the antisemitism allegations against Salah and ran his lawyer’s rebuttals of them. This included implying that CST had “doctored”the Koranic poem and the “blood libel” speech to include mentions of “Jews”. Following CST’s intervention, the story was altered on the Guardian website, clarifying that these were the lawyer’s claims, not the Guardian’s, and stating:“there is no suggestion that CST doctored the quotes”. A line suggesting CST had not checked the quotes for accuracy was removed; but a further clarification that CST had actually found and supplied the accurate versions of the poem and speech was not included. On 30 September 2011, the Guardian reported that Salah had won compensation for two days of wrongful immigration detention. On 26 October 2011, Salah lost his first appeal. Despite its extensive prior coverage (at least articles prior to this date), this verdict did not appear to be reported by the Guardian. Indeed, the paper seems to have made no further mention of Salah until 9 April 2012, when he won a further appeal. This was covered at length by the two articles, which implied that Salah had won on all charges, whilst making no mention of the ruling dismissing Salah’s denial of having made a blood libel speech. It also ran an article by Salah himself, entitled, “Britain’s duty to the Palestinian people”. CST’s 2011 Report on Antisemitic Discourse clearly demonstrates the Guardian’s continuing antisemitic sins of ‘commission and, just as dangerous, ‘omission’: their silence in the face of clear evidence of antisemitism when covering a story. While this blog’s mission is clear, and we’ll continue combating antisemitism and the assault on Israel’s legitimacy at the Guardian and ‘Comment is Free’, we also have a related mission: to name and shame the Guardian as an institution which fancies itself the “world’s leading liberal voice” yet continues to display tolerance towards decidedly illiberal opinions about Jews. It is incumbent upon all those who consider themselves passionate anti-racists to join us in this fight. I know. Vicious anti-Semites like Salah are depressing. Somehow you’re keen on eliding their crimes. We happen to be discussing anti-semitism in the Guardian. If you really want to shoehorn in your infantile attacks on someone engaged in protecting civilians being shelled, I advise you to go to a site called ‘Israel watch’ or probably more your style ‘Jew watch’. “So are war criminals like Netanyahu.” And Alex. I see see you must have taken a long time to think that up. An Antisemite at his daily work: diffaming and condemning Jews, a Mosley´s boy. Your showing your age! Difference is/was Mosley was condemning jews ! The condemnation here is of Israel .Israel does not represent jews per se! Translation: the Guardian’s CIF is NOT antisemitic. They just criticize the Government of Israel, just like they would criticize the government of Britain. 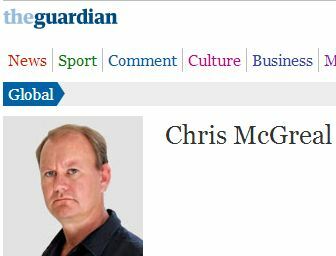 To be fair if anyone actually read the Independent it would give the Guardian a run for its money. Well clearly you think that firing rockets at civilians is perfectly OK. Are you serving with the Syrian army, or something? 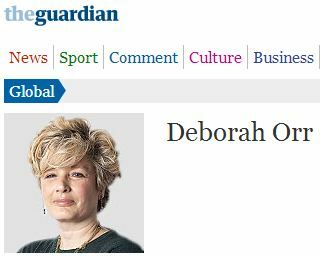 I wonder if Leveson will have any impact on Guardian’s antisemitism. The CST does a magnificent job. Its reports are authoritative and penetrating. The Guardian was absolutely shredded this year. A couple of self-critical Guardian articles by Chris Elliot and Jonathon Freedland decrying the anti-semitism of their own paper were brave, but insufficient to hide the stench which clings to this putrid newspaper. The ugliest newspaper in Britain. He was right. There’ll be more on the ‘Guardian’ in the 2012 CIF report. CST Report, I should have said.